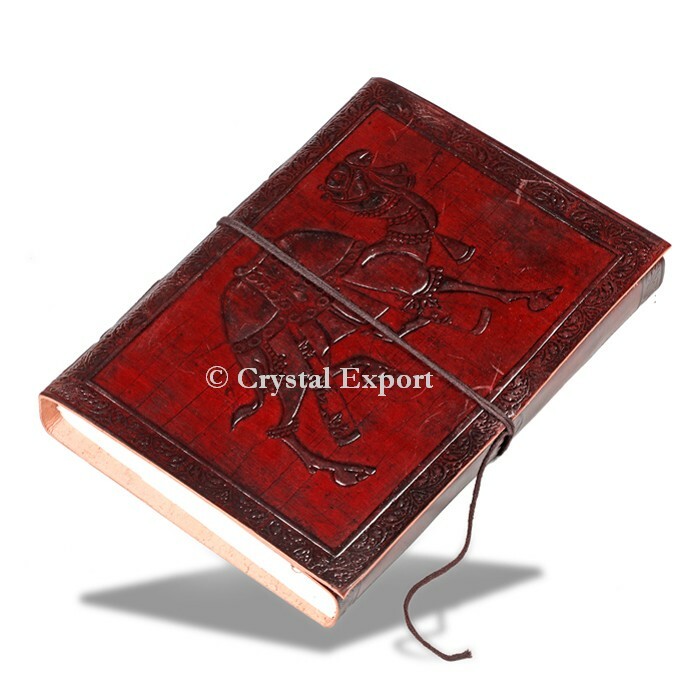 This magical, hand embellished, camel leather notebook is flawless to use as a journal, make a trip diary or to record thoughts and feelings.It has eye-catchy patterns and mesmerizing look. There is a cotton string which folds over the accounting the pages together.The book measures 5 by 7 inches.There is no doubt about there magnificence yet a decent journal, diary or note pad should fit in any handbag, simple to do around and pull once in a while. Order online at Crystal Export.